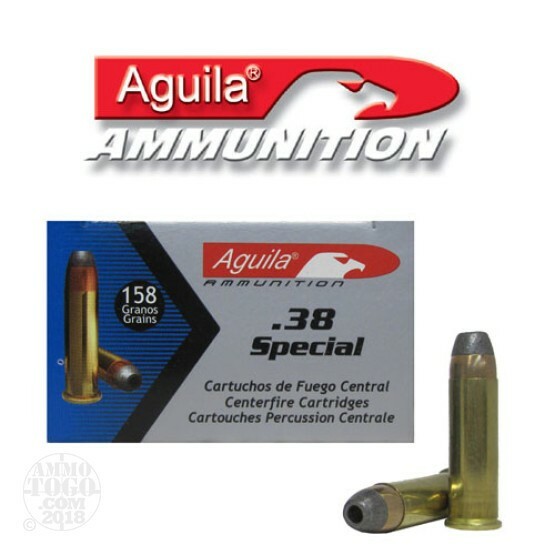 This is Aguila 38 Special 158gr. Semi-Jacketed Hollow Point Ammo. This ammo is brass cased, boxer primed and 100% non-corrosive. This ammo is manufactured by Tecnos Industrias and is premium quality ammo. They are the exclusive manufacturers of ammo for the mexican military and police forces. Remington built this factory in Mexico years ago and they continue to produce quality ammo. This ammo is manufactured to military and SAAMI specs. It is packed in 50rd. boxes.